Supporting talented young singers is very important to Ex Cathedra and Jeffrey, and we are delighted to open applications for the third year of our programme of choral Scholarships and Student Scholarships. Find out how to apply below. The successful singers will rehearse and perform with us throughout the 2019-20 season, earning a guaranteed minimum income, gaining on-the-job experience alongside our professional singers, and giving high-quality performances of repertoire, which in 2019-20 will include choral classics by Rachmaninoff, Bach and Beethoven, to music by Roxanna Panufnik, Alec Roth, Liz Johnson and Penelope Thwaites. Jeffrey Skidmore founded Ex Cathedra in 1969, and his track record of identifying and supporting young singers is unrivalled. 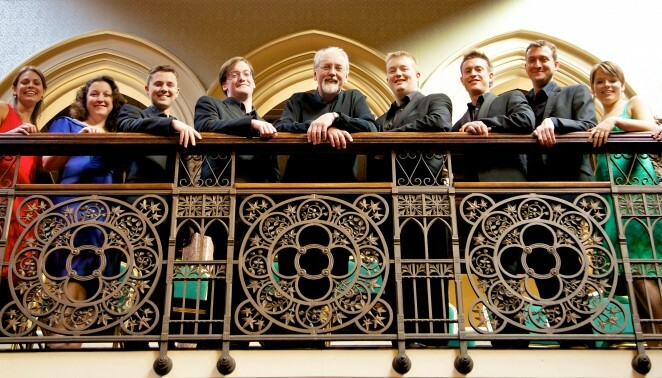 A long list of singers to have benefitted from working with Ex Cathedra at the beginning of their careers includes Carolyn Sampson, Nigel Short, Paul Agnew, Benjamin Hulett, Andrew Tortise, Samuel Boden, Marcus Farnsworth, Patrick Dunachie, and many more. Each year, Scholarships will be awarded to 4 of the UK’s most promising young singers, musicians who have recently completed their formal education and are at, or near, the beginning of their professional careers. This scheme is open to singers from across the country, and the successful candidates will receive financial support of £4,000 each in 2019-20. We will also reimburse certain expenses. Additionally, Student Scholarships will be awarded to 4 undergraduate or postgraduate students enrolled at the Royal Birmingham Conservatoire for the 2019-20 year and will include a grant of £1,500 each. We will also reimburse certain expenses. We would like to thank the Bernarr Rainbow Trust, The D’Oyly Carte Charitable Trust, The Eranda Rothschild Foundation, Fidelio Charitable Trust, The Fenton Arts Trust, Foyle Foundation, Idlewild Trust, the Mercers’ Company, the Radcliffe Trust and a number of individuals for their generous support of this scheme. Our thanks also to the Royal Birmingham Conservatoire who support the Student Scholars each year. If you, your company or your trust would like to know more about supporting a Scholar in future, please contact Sarah Abbiss, Fundraising Manager.